Adolescent Opioid-Related Deaths Are Soaring; We Can’t Wait “Until Things Get Worse”! In September of last year, the American Academy of Pediatrics (AAP) issued a policy statement calling for making drug therapy available to adolescents with opioid use disorder (OUD). The statement caused hardly a ripple. Those who treat adolescents reported that some families, clinicians, even some patients, consider the medications—methadone, buprenorphine/naloxone, naltrexone—a last resort. Now, a year later, several articles have addressed this issue and offer recommendations. One article underscores the risks of waiting “until things get worse” (see “Recommendations” under “Commentary,” below). This AT Forum article summarizes the recent findings and the many recommendations from these articles. In 1999, adolescent death rates from overdoses involving opioids began rising sharply. Rates have zigzagged downward since about 2007, but began rising again between 2014 and 2015 (see figure below). How many young people have died from overdoses involving opioids isn’t known, but following the trend of the line in the figure below gives a clue to the severity of the situation. 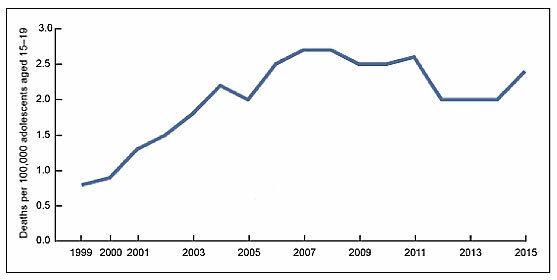 Adapted from NCHS, National Vital Statistics System, Mortality. Curtin SC, Tejada-Vera B, Warner M. Drug overdose deaths among adolescents aged 15–19 in the United States: 1999–2015. NCHS data brief No. 282, August 2017. Hyattsville, MD: National Center for Health Statistics. https://www.cdc.gov/nchs/data/databriefs/db282.pdf. Timely, appropriate treatment would have saved some of these young lives. Especially tragic: in 2015, about 80% of adolescent deaths were unintentional. Attitudes are beginning to change, however: many clinicians now realize that the need for treating adolescents with OUDs has indeed become urgent. American Academy of Pediatrics. Medication-Assisted Treatment of Adolescents With Opioid Use Disorders. Pediatrics, 2016. The 2016 publication, the first official policy statement on treating OUDs from a professional pediatric organization, indicated an important shift in professional thinking. Starting out by briefly reviewing the history, consequences, and treatment of opioid misuse, it went on to note the availability but underuse of effective medications and counseling, and the impediments to treating young patients: federal regulations that block most methadone programs from enrolling patients younger than age 18, and restrictions limiting buprenorphine treatment in patients younger than age 16. The AAP group recommends improving access to medication-assisted treatment (MAT) in the young, both in primary care and through counseling in community centers; conducting further research on “primary and secondary prevention, behavioral interventions, and medication treatment. It also recommends that pediatricians consider offering MAT to patients, or discussing referrals. Addressing Stigma in Medication Treatment of Adolescents With Opioid Use Disorder. Bagley et al. American Society of Addiction Medicine, 2017. And they note that caregivers and patients may incorrectly assume that young people may need to continue medication for life, a misconception the authors attribute to stigma, possibly explaining the resistance to treating OUDs with medication. They acknowledge, however, that more needs to be known about selecting the medication and the length of treatment. Recommendations. 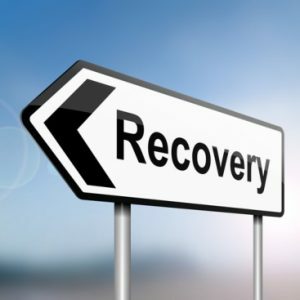 To destigmatize medication treatment, the authors recommend launching a coordinated effort that begins with the federal government, uses evidence-based interventions, and targets all players—parents, behavioral health providers, and state agencies. They say that the treatment models used in younger patients may need to be adapted to include family in treatment, and to account for developmental differences. They also emphasize reducing the stigma associated with using medications in treating this group. Medication-Assisted Treatment for Adolescents in Specialty Treatment for Opioid Use Disorder. Feder et al. Journal of Adolescent Health, 2017. This study, covering 139,092 patients, found that only 2.4% of adolescents treated for heroin use received MAT, compared to 26.3% of adults treated. For treatment related to prescription opioids, the corresponding numbers were only 0.4% of adolescents and 12.0% of adults. The data were from publicly funded programs in specialty treatment programs. The authors noted severe restrictions on methadone access for patients aged 16 and 17 years. Methadone clinics need special wavers to treat adolescents, and require proof of two failed attempts by the patient to discontinue drug use. Recommendations: Regarding Medicaid and CHIP (Children’s Health Insurance Program): include MAT in the early periodic screening, detection, and treatment benefit of state Medicaid programs, and include adolescents in ongoing Medicaid demonstrations to expand MAT. In addition, “policy and practice changes are needed to expand access,” as recommended by the AAP. Trends in Receipt of Buprenorphine and Naltrexone for Opioid Use Disorder Among Adolescents and Young Adults, 2001-2014. Hadland et al. JAMA Pediatrics, 2017. Both the AAP policy statement and the 2016 surgeon general’s report reiterate the need to intervene early; in fact, two-thirds of patients being treated first used opioids before age 25; one-third, before age 18. The team criticized the AAP Committee for not releasing a policy statement until September of 2016—during a worsening youth opioid epidemic, “despite preexisting recommendations from the Substance Abuse and Mental Health Services Administration.” This, the Committee said, may have delayed pediatricians’ adoption of drug therapy for their young patients. Recommendations. Include drug therapy in pediatric primary care, and improve access to evidence-based treatment for adolescents—for example, by adding pediatric addiction subspecialists. In addition, expand the use of pharmacotherapy for youth, and ensure equitable access for all affected youth. Closing the Medication-Assisted Treatment Gap for Youth With Opioid Use Disorder. Saloner et al. JAMA Pediatrics, 2017. An editorial in the same issue of JAMA Pediatrics as the Hadland article includes many recommendations. We list some of them below. AAP Committee on Substance Use and Prevention. Medication-assisted treatment of adolescents with opioid use disorders. Pediatrics. 2016;138(3):e20161893. doi:10.1542/peds.2016-1893. Bagley SM, Hadland SE, Carney BL, Saitz R. Addressing stigma in medication treatment of adolescents with opioid use disorder. J Addict Med. 2017 [Epub ahead of print]. PMID: 28767537. ISSN: 1932-0620/16/0000-0001. doi:10.1097/ADM.0000000000000348. Feder KA, Krawczyk N, Saloner B. Medication-assisted treatment for adolescents in specialty treatment for opioid use disorder. Adolescent health brief. J Adolesc Health. 2017;60:747e750. PMID: 28258807. doi:10.1016/j.jadohealth.2016.12.023. Hadland SE, Wharam JF, Schuster MA, Zhang F, Samet JH, Larochelle MR. Trends in receipt of buprenorphine and naltrexone for opioid use disorder among adolescents and young adults, 2001-2014. [Epub June 19, 2017.] JAMA Pediatr. 2017;171(8):747-755. PMID:28628701. doi:10.1001/jamapediatrics.2017.0745. Saloner B, Feder KA, Krawczyk N. Closing the medication-assisted treatment gap for youth with opioid use disorder. Editorial. [Epub June 19, 2017.] JAMA Pediatr. 2017;171(8);729-731. PMID:28628699. doi:10.1001/jamapediatrics.2017.1269.